Check out our prices for convertible top glass repair. Our certified technicians provide great quality repairs for when you glass breaks or falls out of place. Sometimes things simple as sun damage can wear down a top causing the glass to come loose. Convertible top glass replacement is necessary when it is broken due to things like an accident, improper use, or severe weather. This process takes a little longer than a normal rear glass replacement so be sure to ask about installation projection times for your model. 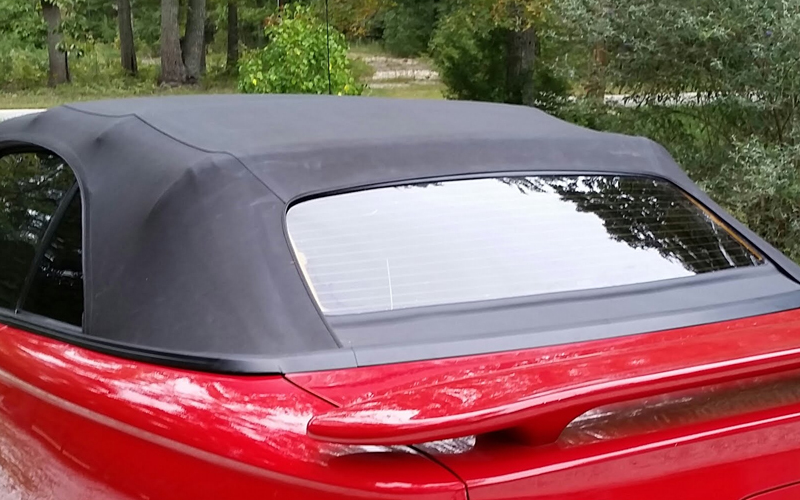 Alfa Auto Glass also offers convertible top replacement. If the fabric on the top is frayed we can go ahead and file a claim with your insurance to get it taken care of without any cost to you – depending on your policy. Call one of our friendly representatives to ask about a free convertible top replacement.